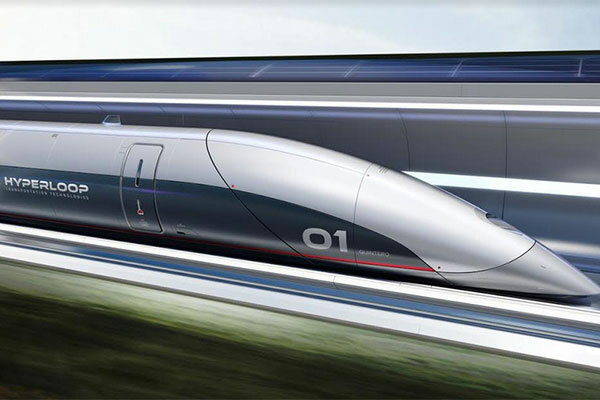 Hyperloop Transportation Technologies (HyperloopTT), a global leader in providing innovative solutions to the transportation industry, has signed an agreement with the Infrastructure Ministry of Ukraine to begin the process for a planned commercial Hyperloop system. The agreement was signed in capital Kiev by HyperloopTT and Ukrainian officials in line with the country’s National Transport Strategy of Ukraine 2030 initiative. This February, Ukraine’s Transportation Minister, Volodymyr Omelyan, had announced that the nation would begin setting the stage for Hyperloop technology alongside Ukraine's National Academy of Sciences, state defense conglomerate Ukroboronprom, aerospace manufacturer Yuzhmash and several other industrial and scientific institutions. As per the agreement, HyperloopTT will work directly with Ukraine’s Ministry of Transportation to begin planning the construction of the first commercial Hyperloop system which will be built out in phases, said a top official. “This year we started the commercialization of our technology with a focus on creating regulations which are the biggest hurdle remaining to bring this new mode of transportation to the world,” remarked HyperloopTT CEO Dirk Ahlborn. “These first commercial systems will allow us to create the necessary legal framework which can serve as a basis for other countries around the world,” noted Ahlborn. According to him, the first phase will consist of a 10 km track that will be used to create the required legal framework to certify the system before being extended out into a broader Hyperloop network. The project is planned to be financed as a public private partnership after the completion of the initial study, he stated. On the new venture, Minister Omelyan said: "We have set a course to bring Ukraine’s infrastructure into the 21st century. Hyperloop is a key component to our goals of creating a smart, and sustainable transportation infrastructure. We warmly welcome HyperloopTT to join us in this endeavor and are glad to have an agreement signed." HyperloopTT Chairman Bibop Gresta said: "We announced our first commercial agreement in Abu Dhabi in April and we are pleased to include Ukraine to our growing list of sovereign partners."